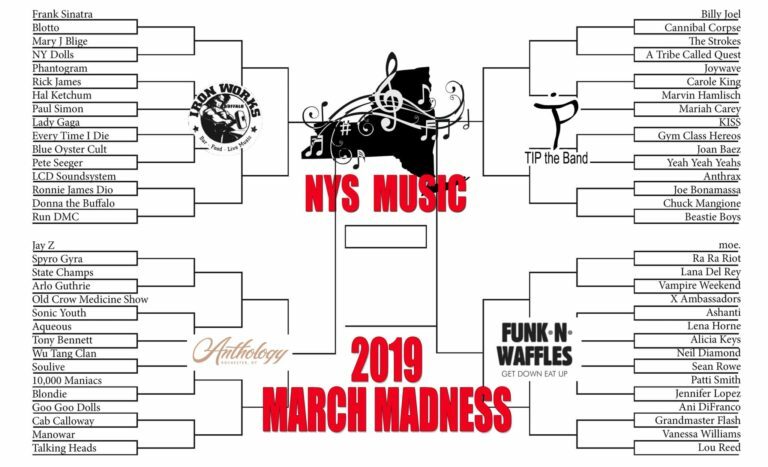 This year, we look to the past and present for our field of 64 famous New York musicians and artists from all corners of the Empire State. 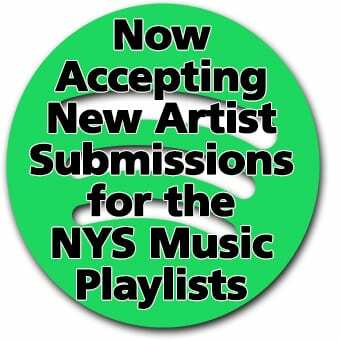 Frank Sinatra, Jay-Z, Paul Simon, Arlo Guthrie, Cab Calloway, Billy Joel, KISS, Anthrax, Neil Diamond and Lou Reed are all included, as well as more recent artists breaking through such as Sean Rowe and Aqueous. This year’s field is also a great way to learn about some artists who hail from NY that you might not have known about. Yes, Lana Del Rey is from Lake Placid, Anthrax was formed in Queens, Rick James and Goo Goo Dolls call the Queen City of Buffalo home, Ra Ra Riot are Syracuse University graduates, and State Champs calls the Capital District home. 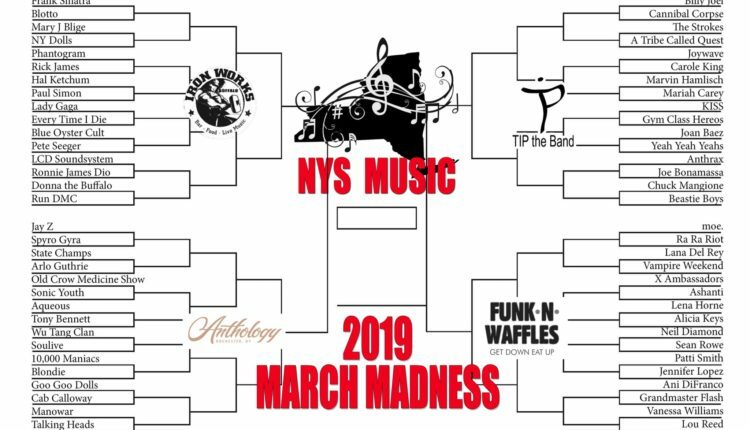 Big thanks to this year’s sponsors, Buffalo Iron Works, Anthology, TIP the Band, and Funk n Waffles. Voting for Round 1 is open until midnight on Wednesday, March 20. You can also vote on each bracket on Twitter, and we will combine all votes together ahead of Round 2, which starts on Thursday, March 21 at Noon.